[dropcap]S[/dropcap]ince its launch in about 2000, ProudToBeCanadian.ca has stood for solid true-blue conservatism. No, all you leftists reading this (and we know you’re there thanks to all your ever-so gracious and tolerant and inclusive emails), we’re not “alt-right” (whatever that means, and we know for certain you don’t); and no, we’re not “extreme right-wing” (whatever that means, and we know you call all right-wingers “extreme” — well either that or “Nazis” or “fascists”); and no, we’re not “you wanna put us back to the year 1950” (an era they have utterly no clue about since they were mostly born in the 1980s and think world history began just then). 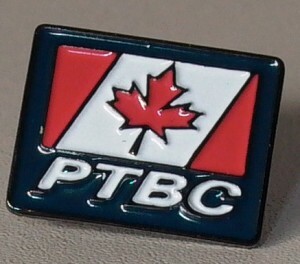 Over the years, just being outspokenly conservative and speaking conservative in bold colors frequently put us at odds with the cool kids and the smart set (all self-described), who learned their values from the left-wing public school teachers and a government-mandated left-wing Canadian culture — as promulgated by the liberals’ state-owned CBC and its propagandist left-wing news division; and by the rest of the mainstream media in Canada (and with not just a little help from the left in America). We didn’t care. We pressed on. In fact we just got more energy from the leftist onslaught, and from their emails sent immediately after we launched, angrily exclaiming “you’ve got to be joking,” and demanding we change our website’s name, and literally mocking us for standing up for plain old conservative values. We believe we helped the Conservatives win back in 2006, by emboldening conservatives across Canada with our dedication to speaking conservative in bold colors and advancing the irrefutable conservative facts of life. So we appreciate a candidate who has endured as we have, because it takes guts, it risks a lot on a personal level, and it takes a strong sense of principle. Conservative principle. You can then see why choosing which candidate to endorse for the new leader of the Conservative Party, seventeen or more years on from our start, is therefore largely based on the longevity of the candidates’ true-blue conservative credentials; and their long-held and outspoken conservative principles. For example, while he ultimately disappointed in some ways (nobody’s perfect), Stephen Harper passed the sniff test back in the day, while Peter MacKay and Belinda Stronach and others did not. And since we think we’ve succeeded, we see the value in the ability of others — Conservative Party leaders — who can lead Canadians toward conservative principles with their conservative outspokenness and ability to communicate and promote solid conservative facts and values in a compelling way. When it comes to maintaining a history of conservative values and speaking out for them in bold colors, one current candidate stands way above the rest: Maxime Bernier. 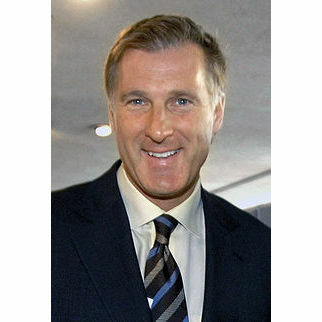 Bernier has a very long record of outspoken true-blue conservative values, very often (alas, unwittingly) positioning himself with the likes of us, and likewise being slammed by the leftists at the CBC, in Parliament, and everywhere else — without skipping a beat, and just carrying on. Speaking in bold colors, and surviving, and winning. These are all things this web site and its many columnists over the years have spoken out for. Have we gone further on some of these issues? Yes — especially with regard to the state-owned CBC, where we (or at least I) have advanced the notion not of not only “ending” it, but enshrining a principle in our constitution prohibiting the state from even being in any business and competing against its own citizens. And do we utterly oppose Bernier on any issues? Yes. On abortion, for example, he voted against Kitchener MP Stephen Woodworth’s pro-life Motion 312 in 2012, but says he’s open to debate in Parliament. That’s a fail. On the other hand, he voted against Bill C-14, the Liberals’ 2016 bill to legalize doctor-assisted dying. If you think it seems like he’s a little conflicted on the subject of “life,” we agree. And one picayune and possibly obtuse matter: Bernier speaks with a strong Quebec French accent. Not Jean Chretien strong, but it’s right out there. 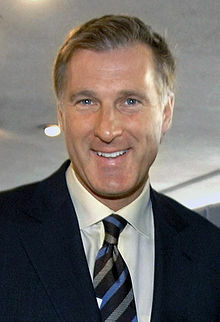 We view that as a negative in the English-speaking world insofar as electability, although it may assist him in Quebec. (I imagine leftists out reflexively racing to call me a “racist” now, or some such banality, but actually I’m not against or “phobic” about people with French accents. My dad had a strong French accent until the day he died — he came from France and Belgium way back in 1959. He had a better vocabulary than anyone in English, but never lost the accent). It’s not about being anti-French, or anti-Quebec, it’s about electability — particularly in the rural and suburban west where many people have some disdain for Quebec and thus Quebecers. Far be it for us to explain the idiosyncrasies of others, but the electability issue of a French-accented candidate is very real. Those who know my history know I admired, for a time, Pierre Trudeau. One of his foremost qualities was his ability to speak almost perfect English and French — with no accents in either language at all. Love it or hate it, that’s a Canadian quality nobody besides him has, in my lifetime, mastered. Bernier should work on speaking English without an accent. As for experience, Bernier is once again tough to beat. He has Bachelor’s degree in Commerce, he is a lawyer, and he has two decades’ worth of private-sector business experience (mostly banking). He has also of course been in elected government — since 2006 — and has held cabinet positions in the Industry and Foreign Affairs ministries. Maxime Bernier describes himself as a libertarian on most issues. All true conservatives have some libertarian bent. Bernier will lead the party well, and can lead Canadians to a new appreciation for conservative economic principles, especially if he can adjust his accent. We think he can win the next election for conservatives and Conservatives.